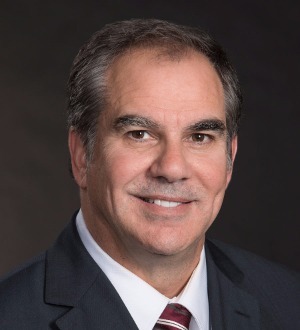 Robert Buccola is a managing and founding partner of Dreyer Babich Buccola Wood Campora, LLP and is a native of Sacramento. He is a graduate of the University of California at Berkeley, and the University of the Pacific, McGeorge School of Law. Robert has been recognized by San Francisco Magazine as one of Northern California's Super Lawyers, which names attorneys in each state who have received the highest point totals, through both peer review and the independent research of Law & Politics.Robert began his career as an insurance defense attorney defending individual insureds and corporate defendants for several years before beginning his career representing injury victims in 1985. In 1989, Robert began to author and lecture to lawyers for the Continuing Education of the Bar (CEB). At the time, Robert was the youngest CEB author/lecturer in the state. Robert writes, lectures and teaches for many notable legal educational groups on tort law and trial practice including Consumer Attorneys of California, the National Business Institute, and the American Board of Trial Advocates. Thirteen years ago, Robert was inducted into the Sacramento Chapter of the American Board of Trial Advocates (ABOTA) as its youngest Chapter Member. Robert is also a member Emeritus, and a “Master of the Bar” in the Anthony M. Kennedy Inn of Court. He is the past President of ABOTA Sacramento Chapter. (Less than 1% of all practicing lawyers throughout the country are admitted as ABOTA members.) Robert has attained record verdicts and settlements throughout Northern California and has recovered in excess of 250 million dollars for his deserving clients. His results include the current largest personal injury gross verdict and the largest pain and suffering verdict in Sacramento County – a record that has stood for nearly ten years, and which was upheld on appeal in favor of his 19 year old client. In 2001, Robert obtained the largest verdict ever in Marin County on behalf of a pedestrian injury victim and in 2005, he obtained the largest personal injury verdict in Tehama County for a local man.